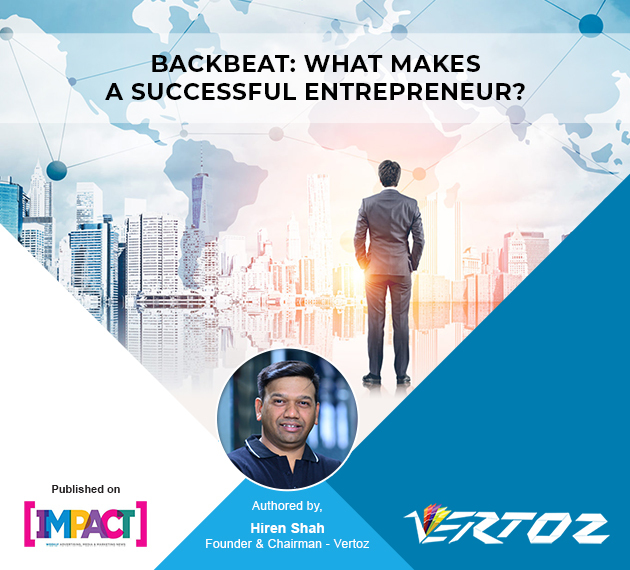 Guided by the influential words of Chinese Philosopher, Confucious, Hiren Shah (Founder & CEO, Vertoz) had dreamed of entrepreneurship since his teen age years. While in the early days the inspiration directed him on his path of setting up his own empire. His natural penchant for technology is what made him choose the ad tech industry. With determination for success, he grasped all the knowledge he could get hold of in the arena of Computer Software. He ferociously believes that the prosperity of a business lies in the value it brings to society and the difference it makes in people’s lives. Ad-tech gave him the perfect fusion of his passion for technology and the value it holds in the current society. This was also the starting phase of the grand technological transformation for the Indian Market, thus the best time to enter in the ad tech industry. Hiren rightly judged the need for tech-driven solutions to serve the ever-evolving requirements of the Indian advertising industry. Thus, accompanied by his brother, Ashish Shah (Founder & CEO, Vertoz) Hiren began the journey that led to the formation of Vertoz in 2012. Failures did make their way in his life. Not all ventures met the destination of success. But, Hiren took them as lessons for future decisions and moved forward with them. He had tried the various channels to tackle financial crisis early on in his life. He had experimented with various ideas, which played a major part in his learning process. He credits the achievements of his empire to four things: Being constantly on his toes, Worshiping his Work, The support rendered by his family and the constant flow of knowledge & inspiration that came through books. To read the full coverage, click here.